and we expect each team to play for about 1.5 hours. Email subject should be PB Team League - Add your Name, Phone Number & Play Level to the message. The subject directs your email to the right folder so please ensure it's correct. 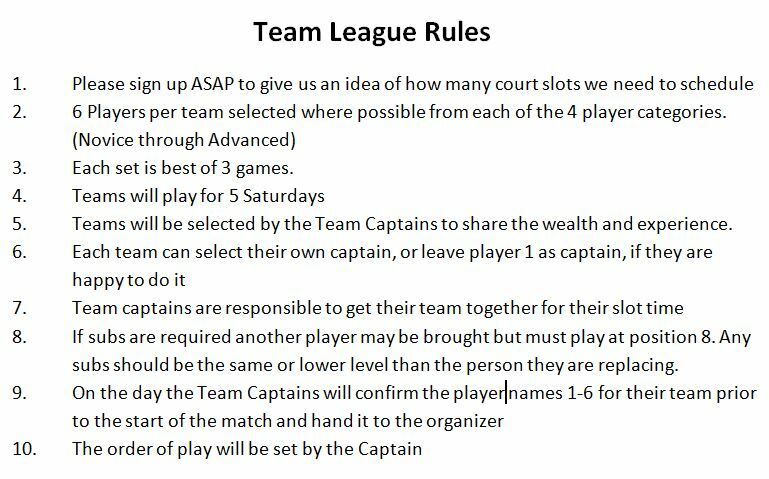 Note - Captains may reorganise the play order to suit changing player abilities prior to the start of each league match.